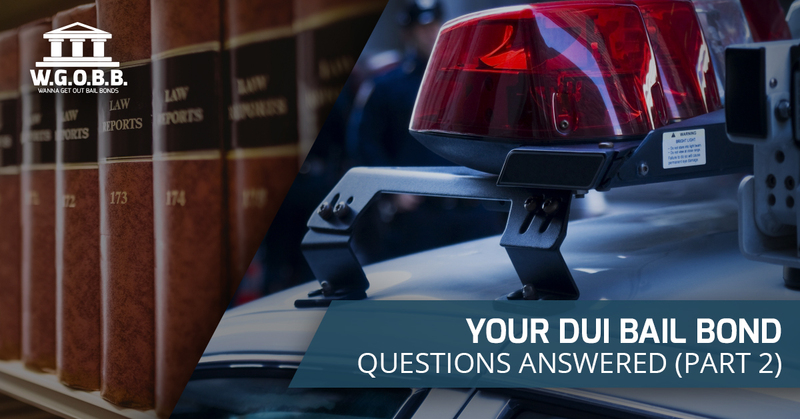 In part one of our series on DUI bail bonds we took a look at a handful of the most commonly asked questions on this topic. If you’ve ever wondered how much DUI bail bonds cost or if you can purchase them from jail, be sure to go back and take a look at our previous post. At the end of the day there are plenty of questions about DUI bail bonds, and that’s why we decided to answer a couple more in today’s post. At Wanna Get Out Bail Bonds, we strive to be Oahu’s go-to source for help when people are in need. We know just how frustrating and stressful dealing with the legal system can be. There are plenty of things to consider and that’s why we want you to know first and foremost that you can turn to us to get help and advice when you need it the most. And so without further ado, let’s take a look at a few more commonly asked questions on DUI bail bonds. Keep reading to learn more. What Is the Punishment for Driving Under the Influence? In other words, the range of punishments can change depending on the specifics of your situation. What Happens If You Get Multiple DUIs? So what happens if this isn’t your first DUI? That’s a good question, and the answer is that the judge who is responsible for setting your bail amount might not be as lenient if you have had problems in the past. Generally speaking, a judge will be much more likely to grant you bail if you haven’t had issues with the law in the past. That’s not to say that if this is your second (or third or fourth) DUI that the judge won’t grant you bail. All we’re saying is that the likelihood of it happening starts to decrease; it’s also highly possible that if you are granted bail, the amount you’ll need to pay will go up. It’s also true that the sentencing and penalties incurred on repeat offenses will be harsher. Because you have gotten a DUI in the past it means that it wasn’t just a one time offense. What Conditions Apply for This Type of Bail Bond? Once again, it depends on the situation. What we can say is that typically there won’t be anything out of the ordinary in terms of conditions for a DUI bail bond. Fortunately, at Wanna Get Out Bail Bonds, we are happy to answer any questions you may have. We’ll also make sure to provide you with all the the specific information you need for your situation. We take great pride in being able to speak to our clients in a way that makes sense. Rather than having to deal with “legalese,” when you choose to utilize the assistance of the team at Wanna Get Out Bail Bonds we’ll tell you plainly all of the things that you need to know. As we mentioned above, we offer free bond advice, but it’s also important to know that we accept collect calls, we offer up to a 20% discount when you’re paid in full, and we always ensure complete and total discretion at every step of the way. We also accept credit cards, allowing you to be flexible. With no collateral needed on most bonds and zero interest with flexible payment plans available, we ensure that no matter what type of situation you find yourself in, you’re fully covered. At the end of the day, the thing to remember is that we’ll mention any specific conditions that might apply for your situation. Does this post cover every possible question that a person might have about DUI bail bonds? Certainly not, but we’d like to reiterate that we’d always be glad to answer any questions you may have about your specific situation. When you need a dependable and affordable professional bondsman who won’t let you down in your time of need, look no further. We’re located in Honolulu, but we proudly serve the entire island of Oahu, so if you’re in need of a helping hand, contact the team at Wanna Get Out Bail Bonds today!